Written with a strong multidisciplinary approach, the book has expanded considerably to include the expertise of international editors and contributing authors from a wide variety of backgrounds, including ENT, radiotherapy, plastic surgery, and maxillofacial surgery. 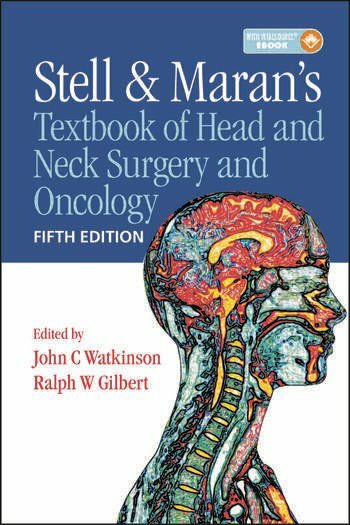 As a first text for trainee head and neck and ENT surgeons or as a reference source for practitioners in a variety of related fields, Stell & Maran's Textbook of Head and Neck Surgery and Oncology remains the best-illustrated and most up-to-date volume in its field. "It is a bigger and better book than its predecessor... the entire book is well organized ... plenty of colourful pictures, diagrams, tables, summary, and key point boxes." "The fifth edition has been worth the wait and shall remain an essential first text and reference book for trainee head and neck surgeons the world over. It is clearly written and is an excellent resource for every trainee's library." " … beautifully illustrated throughout with colour clinical photographs, excellent line diagrams, and appropriate imaging. … The section on non surgical treatments such as chemo and radiotherapy and biological targeting was particularly good and relatively easy to read!"